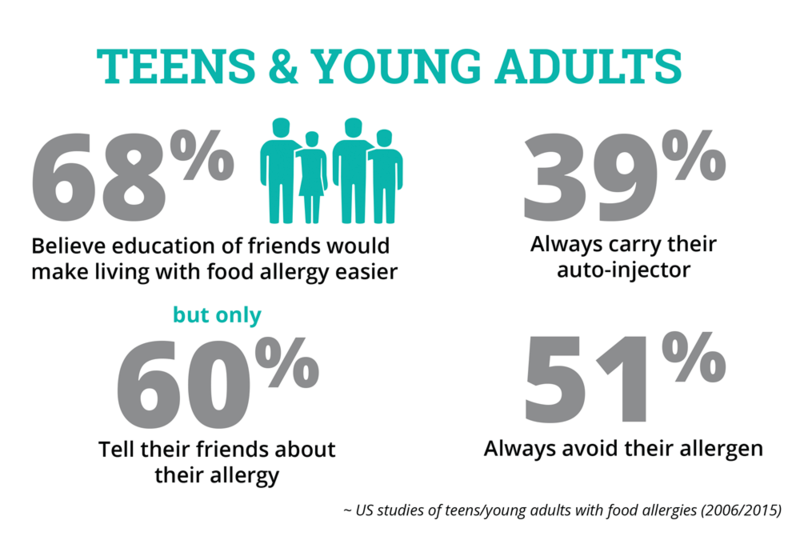 Tools to help your institution support students with food allergies. As high school students move to university or college with more independent study and living situations, they need to quickly learn how to navigate much larger and more complex systems. Students with serious allergies have the additional responsibility of managing their medical condition in a new setting. 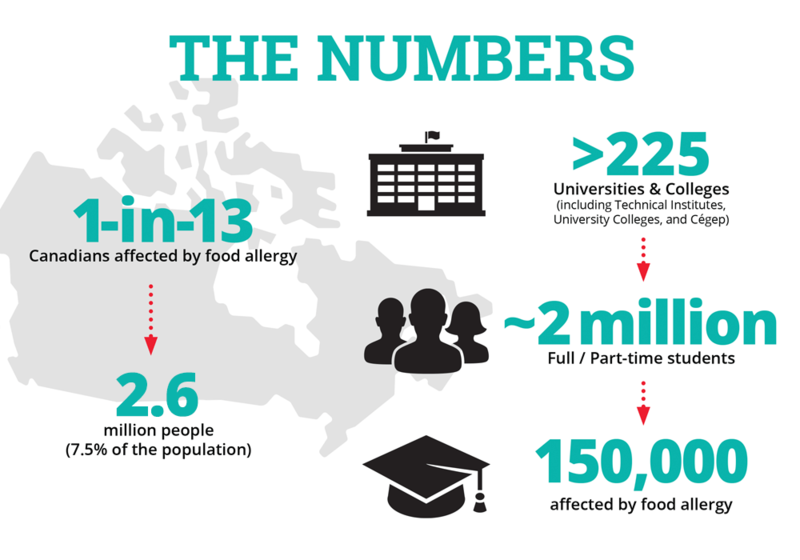 Approximately 150,000 students enrolled in more than 225 Canadian universities and colleges that are affected by food allergies. While students are expected to manage their potentially life-threatening allergies, your institution can assist by fostering a supportive and inclusive campus environment — creating a safe setting for the students to disclose their allergies and providing services and supports for managing risks. Our deepest gratitude goes out to our funders for their generous support of our post-secondary guide initiative: Sean Delaney Memorial Golf Classic, The Walter & Maria Schroeder Foundation, TD Securities, Scotiabank Group, SATOV, Pfizer Canada, Williams Wilson Sherport Foundation, and Peanut Bureau of Canada. Download this free guide to learn how to successfully manage food allergy and anaphylaxis across your campus. 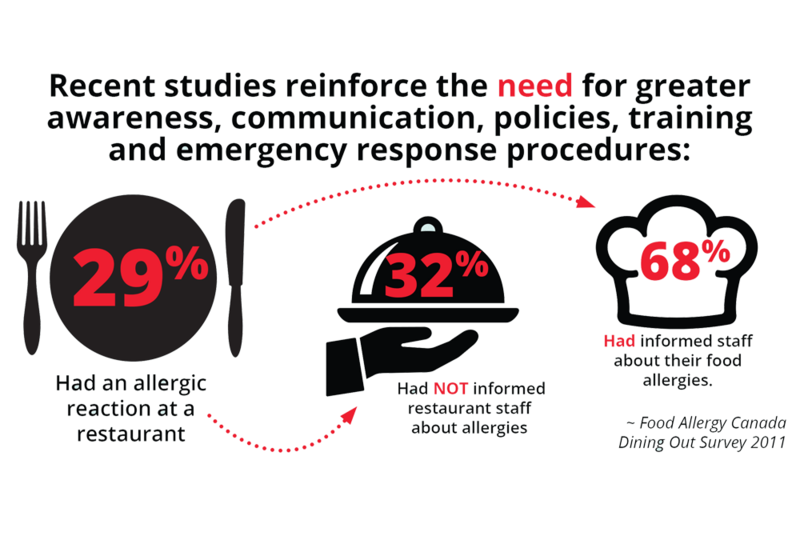 Take our short quiz to see how your campus is doing in terms of food allergy management. For post-secondary institutions, students, and families. Andrea Mariano: Inspiring action – Andrea was a bright and caring Ontario university student who suffered a fatal anaphylactic reaction on campus in September 2015, just weeks into her first year.